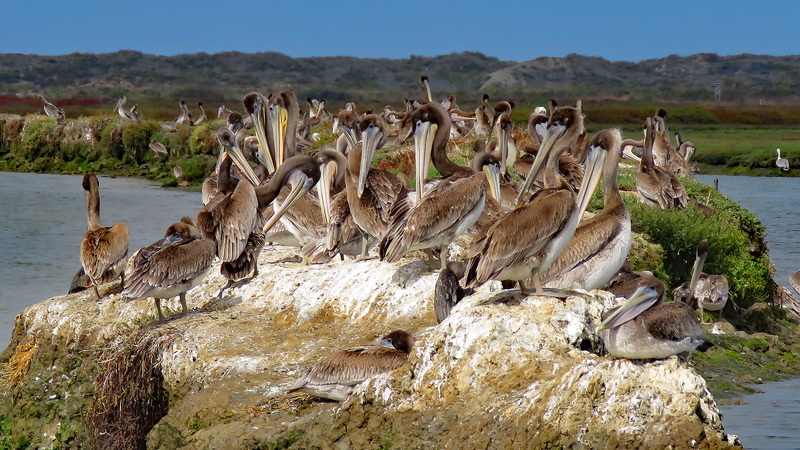 I have a wonderful memory of kayaking in the Elkhorn Slough with brown pelicans cruising close over my head. This fantastic photo of the pelican party celebrates the ES in style. We were going to kayak ES, then we heard about the pontoon boat – naturalist guide, hot coffee and homemade cookies. Maybe next time we’ll ‘rough it’.